I’VE DESIGNED THIS PROGRAM FOR YOU! It's time for your business breakthrough! I want to drastically condense your timeline to success. I want to take everything I’ve learned and give you the blueprint for your success. Control your business (instead of feeling like it’s controlling you)? Confidently take action each and every day instead of spinning your wheels and second-guessing yourself? Consistently attract your ideal clients and the people you are meant to serve – the ones that energize you and leave you feeling excited every day? Start working on your business instead of feeling like it’s owning you? Eliminate fear and overwhelm and feel totally confident in who you are and what you have to offer? Stop underestimating yourself and start charging your value? Start having the financial freedom to give generously and abundantly? Honestly believe that it’s totally possible for you, and not let anyone tell you otherwise? Free yourself from the overwhelm and negativity that’s kept you where you’re at, and become the strong confident entrepreneur you were meant to be? Stop wishing and hoping and start getting results? It’s four months from now. The seasons are starting to change, but in less time than it takes to grow a child, your business has taken off. You’ve developed confidence. You're brave. Fearless. Your business has the momentum that you, quite frankly, used to envy in others. Everything is finally coming together, and your business has totally taken off. Those friends that told you that you were crazy… they are starting to take notice. Your husband who was totally skeptical… he’s in absolute awe. Because not only is your business transforming – you are transforming. You’re different now. More confident. More excited. More fun to be around. The only thing you can’t figure out is why you didn’t do this sooner! In four months, you won’t even recognize the old you. That’s what this program does. I’ve been where you are right now, and there’s no one who understands where you're coming from more than I do. I know what it’s like to be starting and stuck. To know that you were meant for more. To compare yourself to others who are further along and feel like you aren’t measuring up. I know that feeling – where every new thing you try is like tossing spaghetti at the wall – just hoping for something to stick. Finally, I decided that I needed to make a change. I mean, clearly what I was doing wasn’t working. For me, that meant taking the leap and investing in a coach. I was terrified. What if I didn’t make my investment back? What if I just wasn’t meant for success? What will my husband think? What will my friends say? It would have been totally normal for me to step into my fears and stay where I was. To continue stuck and frustrated, and to eventually give up. But I took a chance and never looked back, and I’m so thankful I did! In just a few short weeks, everything began to change. First my mindset. Then my confidence. And of course, my business! Investing in someone who had been there before me meant they could tell me exactly how to do it. And this is possible for you, too! If I can do it, you can too! I want to drastically condense your timeline to success. I want to take everything I’ve learned from successfully launching three thriving online businesses and give you the blueprint. Create the business and life you’ve always imagined. Create your own online brand (ideal for coaches, mentors, and service-based online businesses). Positively impact + inspire the world. Eliminate your fears, doubts, and excuses. Grow and scale your business (or turn your side-hustle into a thriving online business). Learn the step by step process that will get you from starting and stuck to unlimited possibilities. I personally work with my own business coach and know the incredible value of someone holding you accountable and sharing the proven system that works. In fact, I wouldn’t be where I am today if I hadn’t sought the help I so desperately needed. Get crystal clear on the unique purpose that drives you. Determine what you will offer and learn how to charge your worth. Learn how to enjoy sales calls (access to the exact formula I use to book my ideal clients). Overcome common objections (without being pushy) so you hear more yes’s and fewer no’s. Connect with your ideal client and create unique products and programs that will leave her raving! Create a blueprint and the exact roadmap for your success. Create automated systems so that you can generate new leads while you sleep. Design your ideal calendar and make time for what really matters. Productivity, time management and delegation. Design a business model that supports your unique purpose and mission. Clarity on your ideal client (who she is, what she needs, where she spends her time). Understand the desires of your niche market. Find your clients where they are at, and attract your tribe. Learn what selling really means, and why you shouldn’t be scared to market. Break free from the negative thoughts that have been holding you back. Determine what it is that’s been leaving you stuck, wrong, and confused, and transforming your thoughts. Confidence to go after your desires and seek new opportunities. Stop stressing and living in a state of uncertainty. Freedom from limiting beliefs that have been paralyzing you. Increased energy and a healthy living plan. Learn how to live your authentic life. Create a marketing plan that will increase your visibility and bring your ideal clients to you. Brand yourself so your ideal client can find you! Facebook Ads – including advice from a guest expert! Newsletters and blogs – when to post, where to post, how often to post. Write and share your story in a way that resonates with your ideal clients. Build a list of ideal clients and stay connected with them! Fill your webinars with potential clients who are excited to work with you. 12 Sessions, 45-minutes each (3 per month). A signature welcome packet to help you gain clarity on what you want to accomplish. Tailored resources to kick-start your success (i.e. books, webinars, interviews). Recorded sessions so there's no need for you to take notes. Weekly action items to keep you on track. You have a business idea but have no idea where to start. You have a side-hustle or stuck business that you’ve been struggling to get off the ground. You've been in business for a while and are ready to take it to the NEXT LEVEL! You’re tired of waiting for your life to change and are ready to receive the proven steps needed to create the business of your dreams. You're ready to make a change. You realize that what you’ve been doing isn’t working, and you’re willing to take the steps that are already proven to work and get the expert guidance and support you need. You’re ready to stop making excuses and start living the life you know is possible for you. You know that you were meant for more, but you aren’t sure how to get there. You’re ready to take action, and move your business from starting and stuck to thriving and profitable. You’re tired of struggling to grow your business, and you can’t understand why it seems to be happening for everyone but you. You’re tired of the comparison game, negative thoughts, and lack of confidence. You are ready for extraordinary! Before my coaching session with Rachel, I felt completely overwhelmed by the technical side of running my business. That was so frustrating, because I know that so many people need the help that I'm able to provide, but I couldn't figure out how to reach them! In our very first coaching session, Rachel showed me multiple strategies for increasing my reach through both Facebook and Pinterest. She also coached me through setting up my very first e-mail funnel! I've known I've needed this kind of help for so long, but I never knew where to find it. Connecting with Rachel has been a complete game-changer for me! Now I've got a clear-cut strategy to attract the right people to my list, and I'm able to find and serve the clients that need me most. It feels amazing!!! 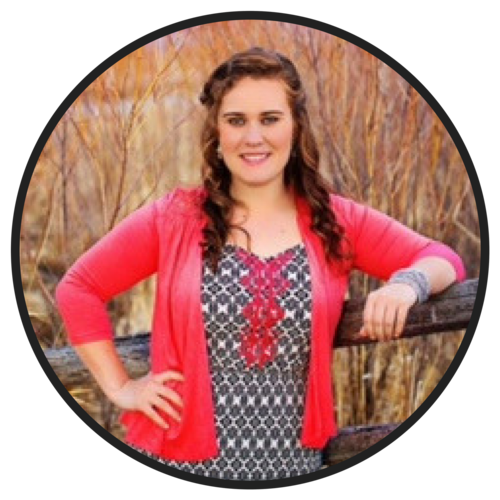 If you're on the fence about hiring someone to help you with your business, I can promise you that you're in great hands with Rachel!" Complete the contact form below, and I'll be in touch to arrange a complimentary consultation (30 minutes). We'll get clear on your vision, and make sure we're are a good fit to work together. You’ll purchase your 4-month coaching package, and I’ll send your personalized Welcome Pack and Contract. (You'll get clearer on your goals and begin seeing results even before we start working together!). We'll schedule our intensive and our twelve 45-minute calls (3 per month). You'll report to me weekly on all of the incredible changes you're seeing, and I'll give you the direction and guidance you need to get results.